Does eating food based on their glycemic index make a difference in your diet? Today diets that are based on Glycemic index like Sugar busters, the Zone diet, and Nutri system are more popular than G.I. diets themselves. The Glycemic index helps patients suffering from diabetes to control their blood sugar levels. As per dietician Sheela sherawat, whatever controls your blood sugar, in theory, helps you lose some weight. The Glycemic index focuses primarily on carbs. Some foods like white bread, cookies and white potatoes can increase your blood sugar pretty quickly. In contrast, the Glycemic index diet allows you to eat carbs that cause a steadier rise in blood sugar and the fiber present in these foods helps you feel less hungry and more satisfied. Working on a low Glycemic diet can prevent conditions like diabetes and heart disease. But, one cannot be certain about its weight reducing capabilities that are better than if you were taking a traditional healthy diet. Some studies show that people on low-glycemic diet lose more weight than those on high-glycemic diet in taking the same amount of calories. Overall, the evidences are mixed and cannot show consistent findings. What to eat as a part of Glycemic diet? On the glycemic index diet, food is rated on a scale of 1 to 100 based on their effect on your blood sugar level. 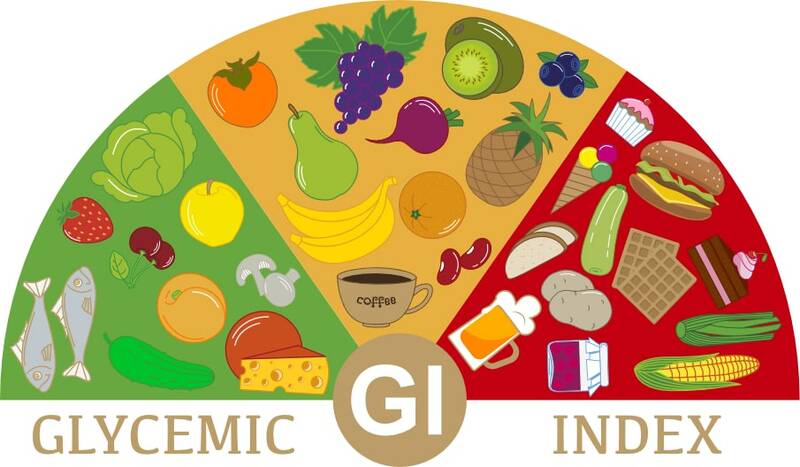 According to our diet clinic you should consume diet that are low on GI and try to avoid those in the high GI group.